Taro is a beacon in this wilderness of mediocrity. Their lunch menu is a most bargainous £7 (eat in, cheaper if you take away) and contains enough food to keep you fueled for the rest of the day. In the bento box meals, you get a drink and a bowl of above average miso soup to start, and then a bento box packed with your protein of choice, as well as containing an assortment of other treasures. Opting for a chicken teriyaki box, I had some sesame bean sprouts, some pickles, a dressed salad, some edamame, a little potato salad and a generous portion of chicken and rice. Best of all, it all tastes pretty great. I've been working in Covent garden for about a year now and I don't think you are going to find much better food at much better value in the vicinity. There are many choices round here, but few I would proclaim as favourites. And with a logo which has a striking resemblance to yours truly, how can I resist. I've always seen Taro and never ventured in. Sounds awesome and a bargain for lunch..am definitely heading in! Have you seen the guy who runs the place? 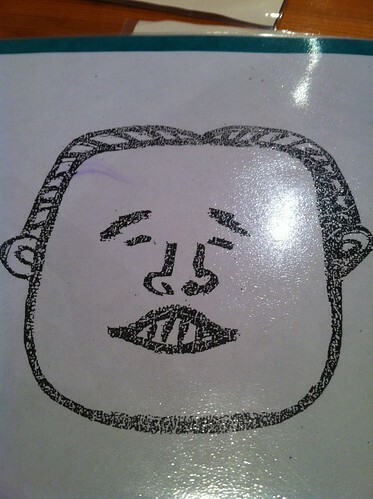 He looks JUST like the drawing in the first picture. 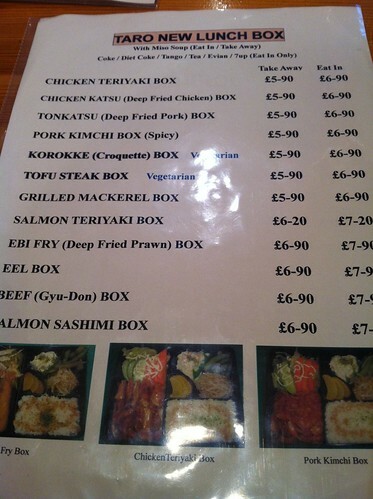 Now I am sad that the Taro in Knightsbridge closed - their bento boxes were fabulous and I really miss them! I love going to Taro for a quick bite. your review reminds me to go back soon! We have nothing like this in Leeds and I so desperately want it! @ Kay - Cheap and great. go! @ Leluu - I will get some gyoza to take back for an afternoon snack next time! @ Ute - Let me know if you need a lunch partner! 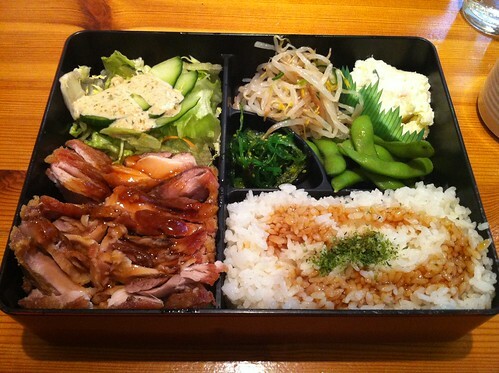 @ Lay the table - Shame, bento is one of life's little treats.